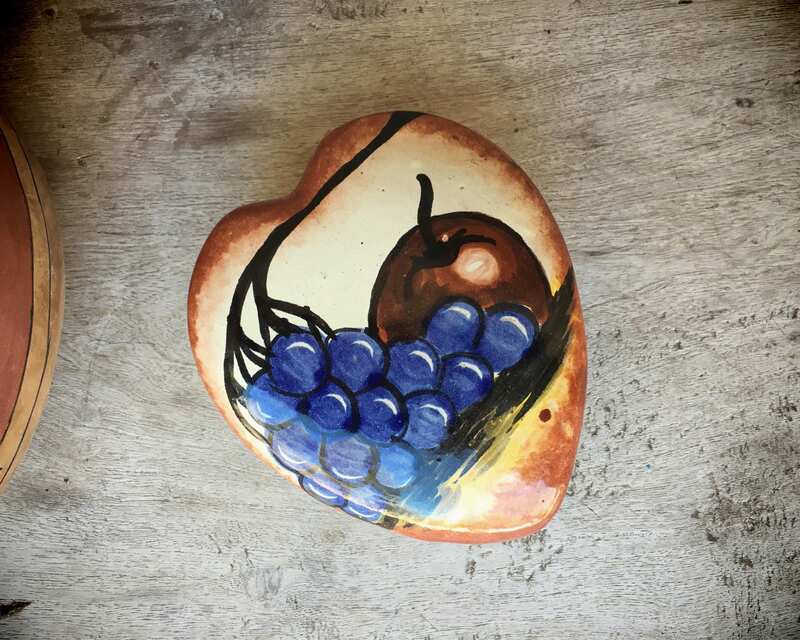 This is a lovely Mexican pottery heart with a removable lid. 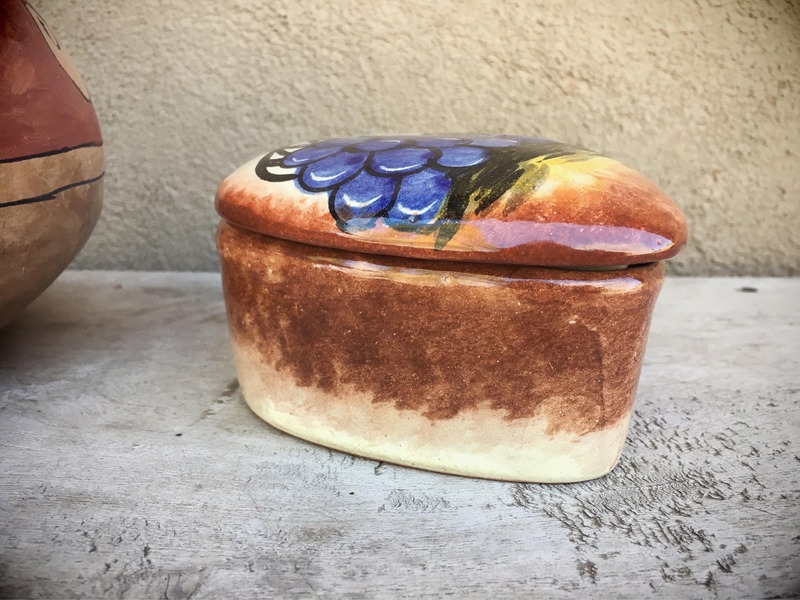 Perfect gift for someone who needs a spot to store earrings, or a rosary, or several pieces of jewelry, as the box is about medium sized. Also would make a great shelf display. Measures about 5-1/4" long by about 4-3/4" wide and about 2-1/2" tall. 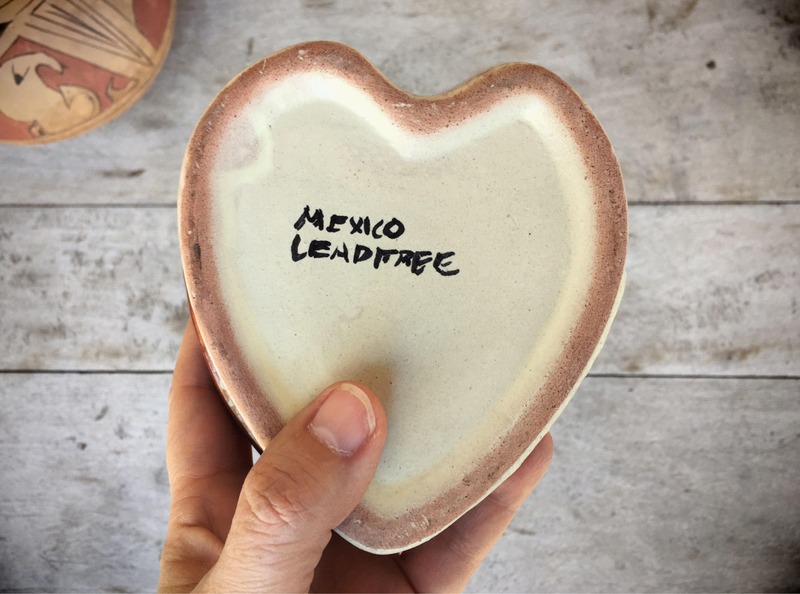 On the bottom is LEADFREE MEXICO. 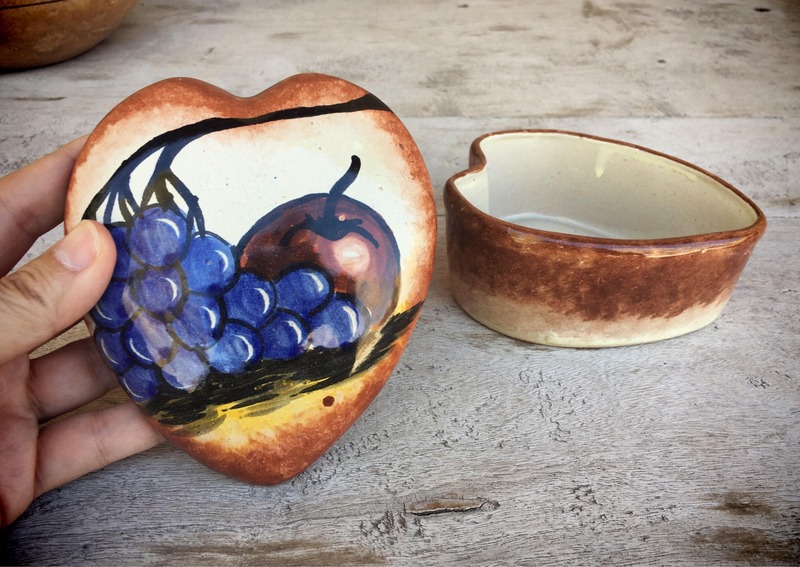 Has some pin sized holes where the glaze must have bubbled and popped during the firing process. Otherwise in good vintage condition. 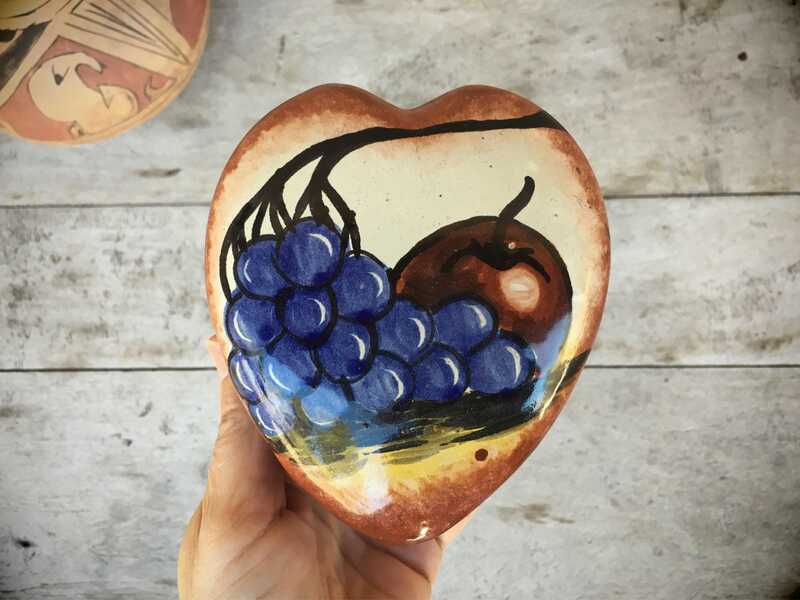 Pretty folk art container for the lover of all things Mexican.